LA, or Los Angeles, California is one of the hottest, trendiest cities in the United States, possibly the world. 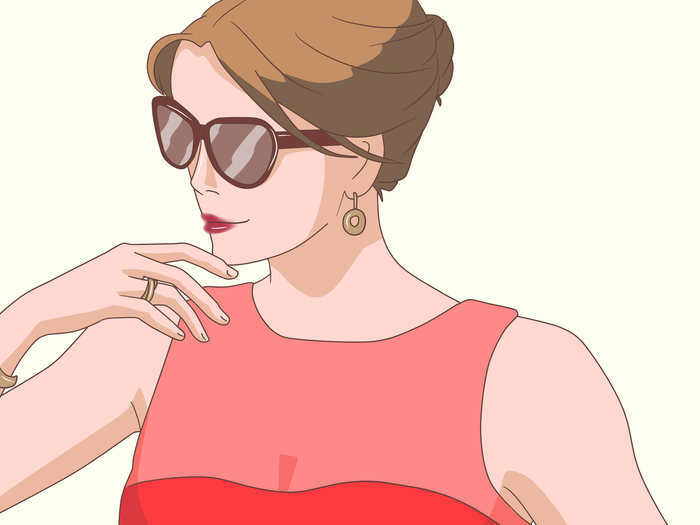 If you've always wanted to achieve that LA look, follow these few steps! Wear appropriate tops. LA is a very warm city, so you won't often see its residents wearing heavy sweaters and sweatshirts. 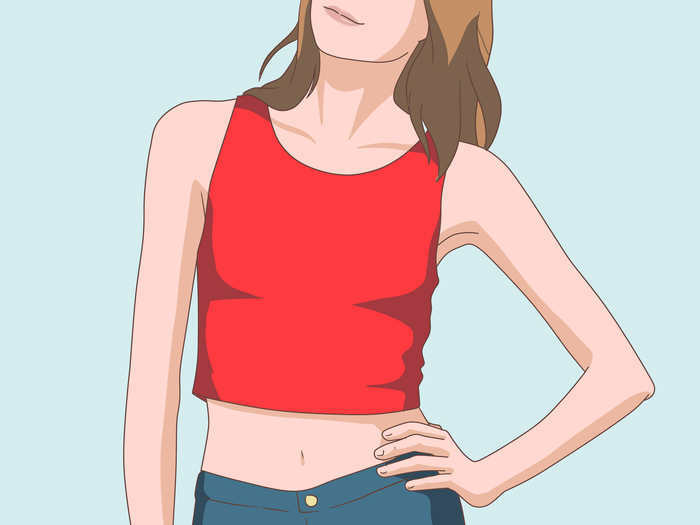 Wear sleeveless, short-sleeved, cropped, fringed or sheer tops to make sure you're not suffocating in the nice, sunny weather yearlong. Try to wear bright, cheerful colors such as: red, orange, yellow, sky blue, pink, lime green and light purple tones. However, for a night out, wear magenta, mahogany, violet and royal blue, along with black and white whenever and wherever! Choose your bottoms. 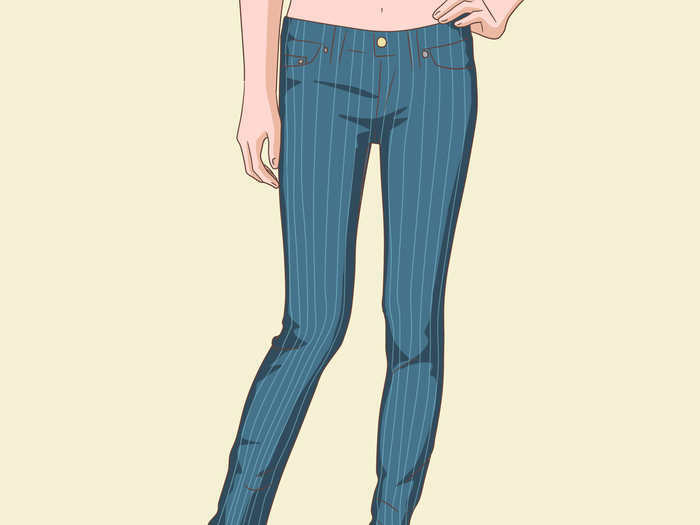 Though it may be warm, jeans have always been popular. Skinny jeans, jeggings, solid or funky-patterned leggings, ripped jeans, capris, hi-low skirts, denim shorts and more are all acceptable. Try creative patterns, such as: pinstriped, horizontally striped, polka dots, checkered, tribal prints, zigzags and waves. Wear good shoes. 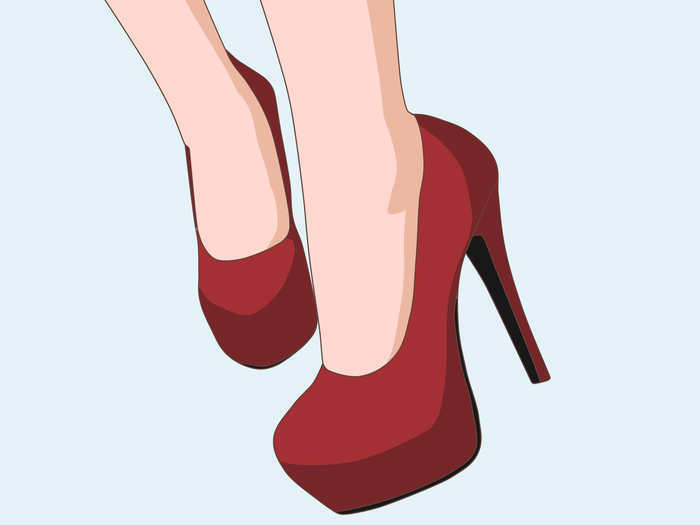 Try a variety of different shoe colors, brands and styles! For colors, try bright ones such as dandelion yellow and ruby red, or deep shades such as maroon and forest green. For brands, try Sperry's, Vans, Converse, Dr. Martens, Jack Rogers, Toms, etc. As for different shoe styles, try sneakers such as Jordans, heels and pumps, rubber boots, combat boots, sandals, flip-flops and more. Wear accessories and jewelry. LA is all about accessorizing! For accessories, try infinity scarves, headwraps, glasses, sunglasses and belts. For jewelry, try different colors and styles of necklaces, earrings, rings and bracelets. Classic, white Vans; bright red, denim, high-waisted shorts; a fringed, red and white, sleeveless top; layered golden necklaces and bangles: black, rimmed fake glasses; a polka dotted, red headwrap and white hoop earrings. Turquoise, hi-low skirt; white, sleeveless, studded top with a collar (tucked into the skirt); white high heeled shoes; turquoise and golden earrings and one, white, lace glove.